METALLICA- Little Rock by James O’Barr! Metallica Little Rock by James O’Barr! Metallica’s tour rolls on! Little Rock’s VIP poster is by none other than THE CROW creator, James O’Barr! Nakatomi will have 90 artist copies available for sale on MONDAY, January the 21st at 2pm Central time, along with Tulsa’s print. Supplies are limited- poster will appear at the top of the METALLICA section of the Nakatomi store HERE when it’s up for sale. Colors and separations on this print are by Nakatomi’s own Tyler Skaggs! 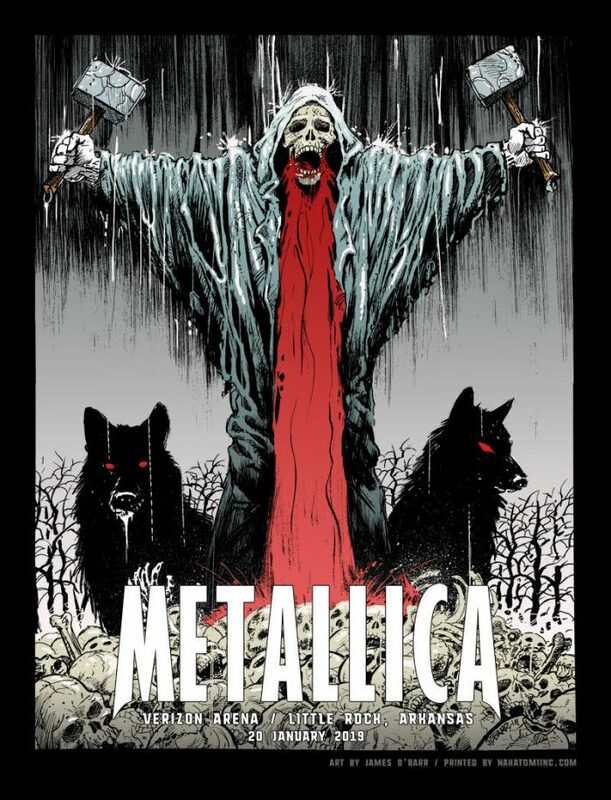 ← METALLICA- Tulsa by Evan Cagle!